Search Results for "taking out the trash"
Man taking part in volunteering cleanup and picking garbage with rake working in overall and respirator in woods. 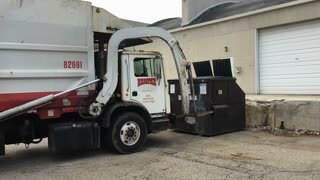 Slow motion shot of a young woman takes out the trash from her house to the curbside, 23.98 fps. UNITED STATES 1960s: Lady Picks up Old Toys from Garden. Boy Washes Out Old Food Bowl in Garden. Boy Takes out Trash. 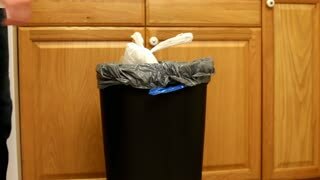 Person taking full garbage bag out off trash can and tying it. Environmentalist making photos of garbage dump.